Matt and I live about five minutes from work which means that we are able to drive home in the middle of the day to visit Bailey and eat lunch together. Usually we eat leftovers, lean cuisine pizzas, or lean pockets (my fav is the grilled chicken jalapeno cheddar!) but this week we decided to plan ahead and actually prep food on Monday that we could enjoy all week. The minimal amount of prep work at the beginning of the week was well worth it and we happily assembled and ate our fresh veggie wraps with feta, hummus, and basil on Tuesday, Wednesday, and Thursday. 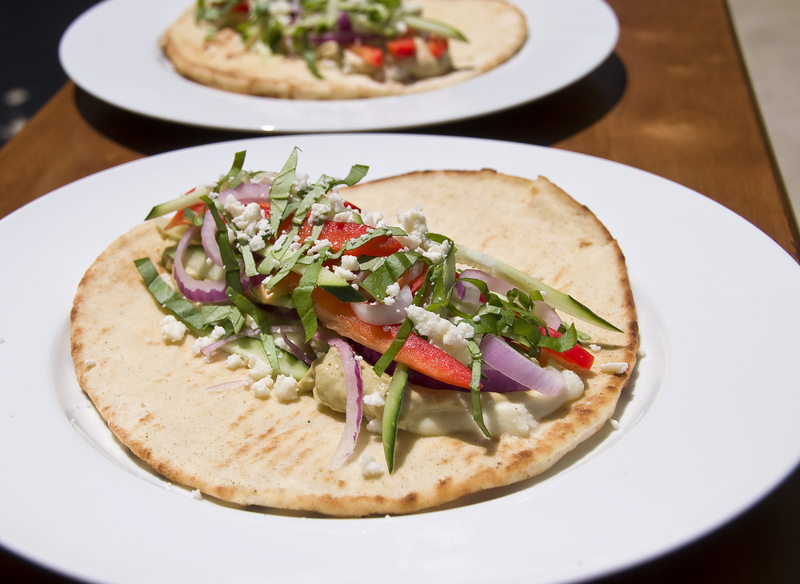 Place one flatbread on a microwave-safe plate and sprinkle with feta cheese. Microwave on high for 30 seconds to warm up the bread and slightly melt the cheese. Top the cheese with 2-3 spoonfuls of hummus and gently spread the hummus over the cheese with the back of the spoon. 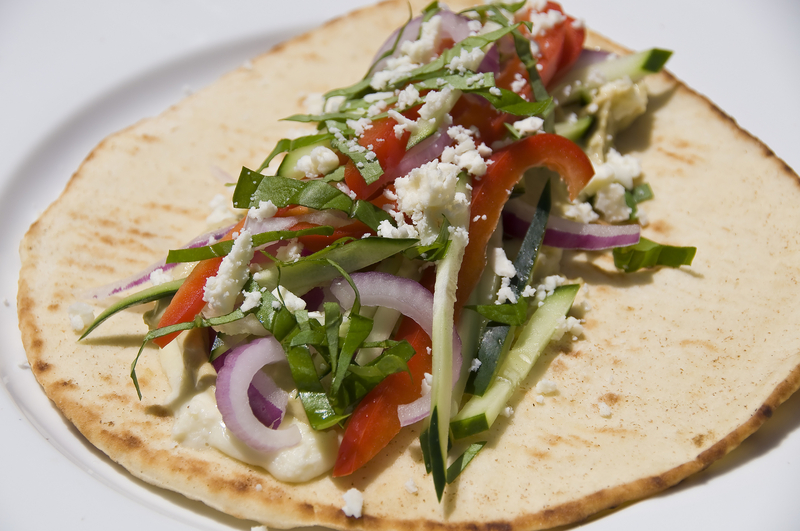 Top with sliced onion, cucumber, pepper, basil and a spoonful of feta. 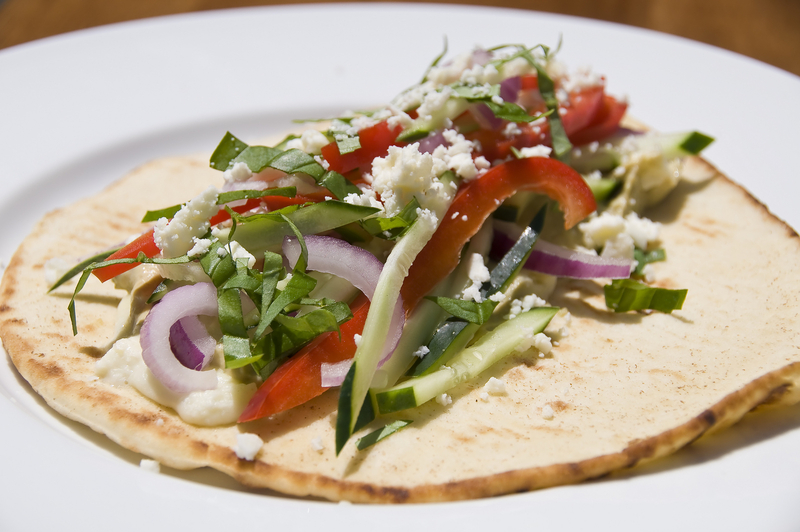 To eat your veggie wrap, fold up the edges of the flatbread taco-style and enjoy!